Diamond Trust Bank, (DTB), one of the leading commercial banks in Uganda registered positive results last year. The DTB attributes this growth to growth in revenues, efficiencies under cost control and credit risk. Meanwhile, loans to private businesses remained at an all-time low during the year. Loan assets contracted by 14% from Ugx. 623 billion to Ugx. 534 billion ‘ ‘which was a conservative approach the Bank has taken in 2018’’ the bank said in a statement. Diamond Trust Bank has positioned itself as customer centric financial institution and a centre of excellence for money transfers services to Uganda. The DTB branches are also a one stop centre where you can manage all your financial transactions. Working hours at several DTB branches, range from 8am to 8pm even on Sundays. 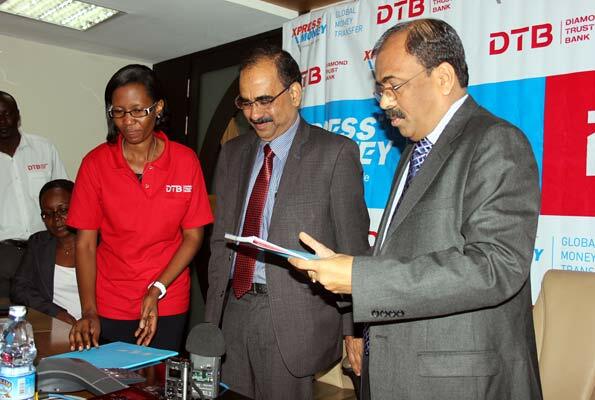 Early this year, WorldRemit partnered with DTB for digital money transfers to Uganda. Using the WorldRemit app or website, Ugandans living in over 50 countries can now send money home to their loved ones for collection at DTB’s over 37 new cash pickup locations across Uganda. In 2016, DTB introduced Intelligent ATM that allows customers to deposit money to their account any time of the day, the customer does not need to have their ATM card to deposit. the amount deposited is reflected on their account immediately. The bank also offers Mastercard’s premium card payment solutions, which includes the Mastercard Gold Debit Card and Platinum Credit Card. DTB. The two card solutions payment cards are acceptable at major locations across the country, as well as millions of locations around the world, or for online purchases. Cardholders have peace of mind that their payment cards are protected by Mastercard’s global standard in security, with both cards enabled with EMV Chip & Pin technology.